The Foldaway Mirror is a mirror that can be quickly folded out and used in any room of the house. It rests on its own stand and will also swivel and rotate. What's more, with the press of a button at the bottom of the stand, you can power up LED lights that will illuminate both sides. Specification: 100% brand new and high quality Product material: ABS glass lens Color: As the picture shows Diameter: 16cm Height: 5cm (stretch up to 31 cm) Double mirror: front 1X / reverse-10X 21 high-quality LED beads are evenly distributed around the mirror, and the halo is gentle and glare-free, allowing you to say goodbye to lack of light. Mirror can rotate 360° A switch button LED button Two slots can place small jewelry Two kinds of power supply: Battery powered - 4x AA batteries (NOT included) / USB power supply. (Two power supplies cannot be used simultaneously.) Made from distortion-free glass The mirror can be quickly folded out, save space, and can extends to a full 13" high This mirror is double-sided, with one side giving you a realistic view of your face. Bright LED lights help provide a clean, bright and clear reflection. 1 x 10X Magnification Spot Mirror. 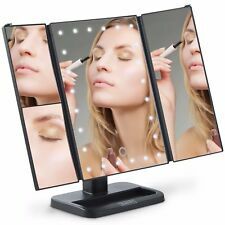 This LED lights makeup mirror is able to rotate 180 Degrees to adjust angle that you need to see, and with its LED lights, you can always see what you are working on clearly. 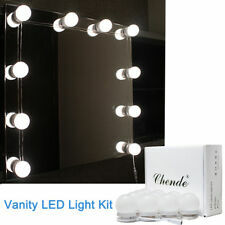 Beautify Makeup Mirror Vanity LED Light Illuminated Tri-fold Dimmable. The mirror is totally portable when battery-operated, so you can use it in the bathroom, on the dresser or wherever you prefer to do your makeup. GENUINE CHANEL Compact Mirror Double Facettes Miroir Duo. 15x Magnification Mirror. 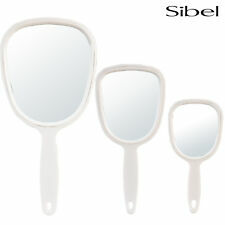 Light weight, great as travel mirror, handheld mirror or just as addition to your big mirror! 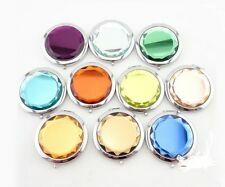 This round LED lights magnifying makeup mirror is adjustable for many angles up to 360 Degrees. 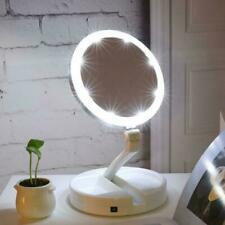 This round LED lights makeup mirror is able to rotate 360 Degrees to adjust angle that you need to see, with its LED lights, you can always see what you are working on clearly. LED illumination. Light source type: Led light. Lens material: Aluminum mirror. Product category: Hanging mirror. Precision Clarity Mirror. 1 x Makeup Mirror. Color: White silver. mounts on any smooth,clean and flat surfaces. One Side Is A Standard Mirror & The Other Side Is Magnifying. FeaturesDual Sided,Lighted,Magnifying. Double Sided: No mirror is complete with a magnified side. The secondary mirror features a whopping 10x magnification to get detailed work done, and the anterior side has an accurate 1x magnification for general purposes. 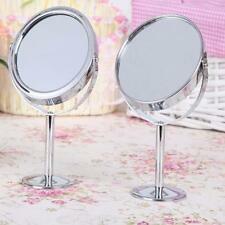 Double-sided mirror: 1X & 10X makeup mirror. 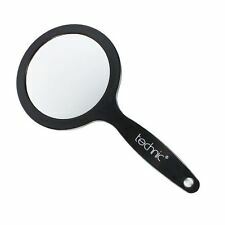 A 10X magnifying mirror is for magnifying the fine details of your face, so you can put on exquisite makeup. Folding design & Storage case: Folding design is easy for carry and can save place. Mirror With Suction. Suction cup to apply the unit to your tiles. Breakdown & Jump Leads. Fire Supplies. Covers & Grow Bags. General Fancy Dress. Christmas Fancy Dress. Fancy Dress. Material:Safety ABS. Main Color:White. Due to various types of computers and monitors, the actual color of the item may be little different from the picture. You may also like. 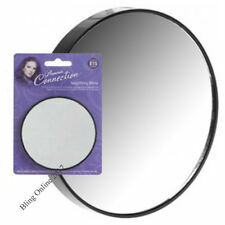 This 15x magnifying mirror is ideal for make up and plucking eyebrows. Colour: Black rim. High quality and great value, this is not to be missed out on. Normally your order will be dispatched within 24 hours (Mon - Fri only). LED illumination. Twist locking suction cup. Function: Zoom in. Lens material: Aluminum mirror. Product category: Hanging mirror. US Hot Sale. AU Hot Sale. CA Hot Sale. OLAY REGENERIST EYE. CARRIES THE WORDS 'REGENERIST EYE' ON THE FRONT. WITH STANDARD & MAGNIFYING MIRRORS. 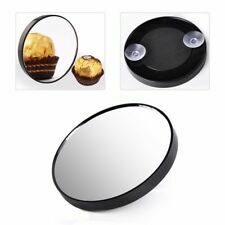 DOUBLE-SIDED HANDBAG MIRROR COMPACT. Ideal for your handbag, makeup bag or to simply pop into your pocket. A magnifying make up mirror serves a number of functions. Many people find them useful for putting in contact lenses and others find them useful for close make up application, examining their complexion or using tweezers . They come in a variety of colours and finishes such as silver mirrors , rose gold mirrors, white mirrors and gold mirrors. Depending on where you want to put it, there are also a variety of sizes and attachments. Magnifying mirrors for the bathroom are usually on a stand alone plinth, whilst smaller mirrors can be added to a large looking glass with a suction pad for expert close ups. If you are using your mirror for inserting contact lenses, it is easier to have it resting on a surface so that you can have a steady hand. When using a magnifying mirror for applying make up, you might not need it to be on a shelf. Instead, it may be far more useful to you on a dressing table. The bathroom is usually a good place to keep your magnifying mirror, due to good overhead lighting, but some people prefer the bedroom. Some magnifying mirrors have two sides; one with a standard mirror on one side, which can be flipped around to reveal the magnifying mirror on the other side. Depending on where you will be using your mirror, you may decide to choose one with built in lighting . This usually takes the form of a light border circling the entire mirror. This is a useful function when using your mirror in poorly lit areas. Magnifying mirrors can be attached to bathroom walls and have extending arms so that you can adjust it to the right angle. You can also buy stand alone mirrors that can be used in a bathroom or bedroom, or smaller handbag mirrors that are either round like a powder compact, or mirrors that come with a small foldable stand.